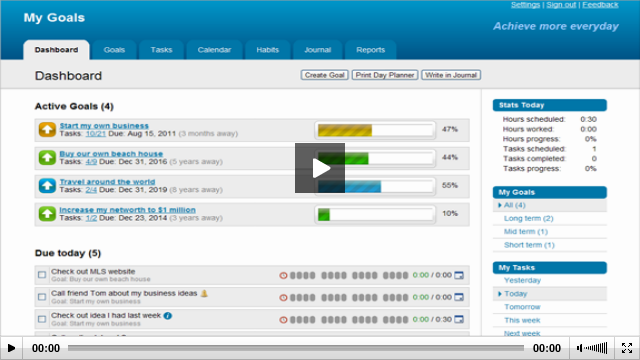 GoalsOnTrack is a Web-based goal setting and task management software that helps you set and achieve goals. By taking action and visually tracking your progress you can stay motivated and on target to reach your objectives. Perfect to help busy entrepreneurs and professionals keep track of goals, tasks and schedules. It's a goal management tool to increase productivity so you actually accomplish what you want.